I love the Blood Curse Series. Every book has been wonderful. I dive into them, and gobble them up. 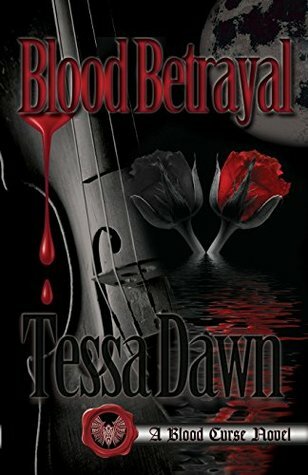 But Blood Betrayal was the first book I cautiously read. Not because it wasn't any good, cos it was awesome, but it also made my heart race and my palms sweaty. Yes, it was that good! This is the story of the Sentinel Warrior, Saxon Olaru. He finally gets his Blood Moon, but as all other books, things don't go smoothly. Kiera is his Destiny. However, unbeknown, to her, her twin sister, Kyla, is a vampire hunter who knows all about the curse and the Blood Moon. When the Blood Moon appears, Kyla realizes that her sister is the new Destiny, and this is also her chance to take out the clan. She arranges for Kiera to be kidnapped, and had the celestial constellation tattooed on her arm. So, while Kyla tries to infiltrate the house of Jadon, Kiera is being tortured by the vampire hunters. See...now you get why I had to read cautiously?